Get a CE mark compliance Quote ! CE marking is mandatory for certain product groups within the European Economic Area (EEA). The EEA consists of 28 member states of the EU plus EFTA countries Iceland, Norway and Liechtenstein plus Switzerland and Turkey. The manufacturer of products made in the EEA and the importer of goods made in other countries must ensure that CE-marked goods conform. Most electrical and electronic equipment sold in the EU must be CE marked. So they need compliance with the EMC Directive “Electromagnetic Compatibility, 2014/30/EU” (replacing 2004/108/EC). This can be achieved by identifying and applying the most relevant product standard. And demonstrating compliance through testing or other means. The accepted EMC standards are listed in the Official Journal of the European Union (OJEU). European EMC testing requires both emissions and immunity testing. If the product has wireless RF radio communications functionality, then additional EMC and Radio compliance could be required. This may include technologies such as RFID, Bluetooth, 3G, 4G or Wi-Fi. Radio and wireless products sold in the European market must be CE marked. The product must comply with the ‘Radio Equipment Directive’ (RED). The ‘RED’ Directive replaced the ‘Radio and Telecommunications’ (R&TTE) Directive. Which either ended or phased out for certain products between 13/07/2016 to the 12/07/2017. The accompanying Declaration of Conformity (DoC) for any Radio Equipment Directive (RED) product will need only the RED directive to listed. Yet the LVD and EMC compliance requirements will still need to be satisfied. The specific transmitter and receiver tests are required. Including transmit power, spurious emissions, bandwidth along with various EMC emissions and immunity testing. Most Radio and wireless standards are available via the ETSI download portal. 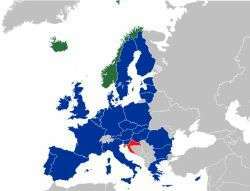 Please see our link for further European Radio (RED) compliance standards testing information. CE marking signifies that the product conforms to all applicable directives that apply to it. A products conformity signified by affixing the CE mark to each product. Each product must be able to prove compliance with the applicable directives. This this is usually achieved through testing to the appropriate harmonized standards/directives. For EMC compliance you are required to comply with the relevant product standard(s) or generic standard(s). This is specific to the product primary function and intended environment. Suppliers must complete and sign a standard format single Declaration of Conformity (DoC) Statement. Listing all the applicable directives and harmonized standards that the product complies. For some products and standards, an organization that has been accredited by a member state maybe be needed. Commonly known as a Notified Body. Required to assess and certify whether a product meets certain preordained standards based upon the data from the test report(s). Watch our CE mark product compliance for Europe video tutorial. EMC Testing for Europe should be conducted at a test facility with a NATA or similar accreditation in order to perform the measurements. Measurement test site must technically conform to the physical characteristics defined in the relevant test standard references including NSA, 16 point uniform field calibrations and so on. Emissions testing is the measurement of the energy. Radiated into free space from the entire unit as a whole including cabinet radiation and cable radiation. Or the conducted emissions is the energy radiated via a conductive path (cable) back to the mains network. Immunity testing is to ensure that a product operates as intended when subjected to various external influences. These influences are a well-defined set of different types of phenomenon that can occur in the real world. For a complete listing, see the New Approach website. Established by the European Commission and EFTA with the European Standardisation Organisations. When is a CE mark not CE mark? The CE mark, or formerly EC mark, is a mandatory conformity marking for certain products sold within the European Economic Area (EEA) since 1985. The CE marking is also found on products sold outside the EEA that are manufactured in, or designed to be sold in, the EEA. This makes the CE marking recognizable worldwide even to people who are not familiar with the European Economic Area. It is in that sense similar to the FCC Declaration of Conformity used on certain electronic devices sold in the United States. It consists of the CE logo and, if applicable, the four digit identification number of the notified body involved in the conformity assessment procedure. The CE marking is the manufacturer’s declaration that the product meets the requirements of the applicable EC directives. 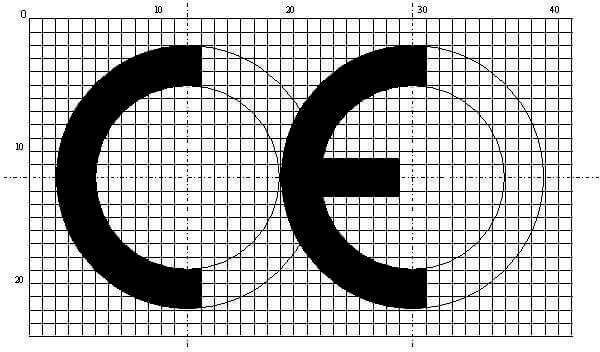 The European Commission is aware that CE marking, like any other mark, is misused. CE marking is sometimes affixed to products that do not fulfil the requirements and conditions for its affixing, or is affixed to products for which the affixing is not required. In one case it was reported that “Chinese manufacturers were submitting well-engineered electrical products to obtain conformity testing reports, but then removing non-essential components in production to reduce costs”. A test of 27 electrical chargers found that all the eight legitimately branded with a reputable name met safety standards, but none of those unbranded or with minor names did, despite bearing the CE mark; non-compliant devices were actually potentially unreliable and dangerous, presenting electrical and fire hazards. There are also cases in which the product complies with the applicable requirements, but the form, dimensions, or proportions of the mark itself are not as specified in the legislation. A very similar CE marking has been alleged to stand for China Export because some Chinese manufacturers apply it to their products. However, the European Commission says that this is a misconception. The matter was raised at the European Parliament in 2008. The Commission responded that it was unaware of the existence of any “Chinese Export” mark and that, in its view, the incorrect application of the CE marking on products was unrelated to incorrect depictions of the symbol, although both practices took place. It had initiated the procedure to register CE marking as a Community collective trademark, and was in discussion with Chinese authorities to ensure compliance with European legislation. In some cases, it is possible to use an overseas CE test report in order to prove compliance and conformity to the requirements specified by the ACMA. EMC Bayswater Pty Ltd is able to provide a report assessment service that involves technically assessing the overseas test report to ensure that it conforms and covers the requirements of the ACMA specified applicable standard limits and methods of measurement. A better method of compliance is to ensure that your product on its own does not cause interference and complies with the limits in accordance with the specified ACMA standards and tested at an independent NATA accredited Lab. How to spot the difference between the CE mark for compliance and the China export logo. Why use EMC Bayswater for your approvals? We offer excellent customer support and technical advice. Providing great value, high-quality accredited testing and test reports. All with a fast turnaround to ensure your product gets to market with the shortest possible lead time. We have accreditation to many of the essential requirements for CE marking directives including Electromagnetic Compatibility standards. And we have extensive experience with relevant standards for both the EMC nad radio European directives. Please visit our EMC testing services page for details of other EMC compliance testing services we offer. Note: For the example EU DoC PDF, please save the PDF file to be able to edit and use the form fill function and print functions.